On March 14, 2018, Marjory Stoneman Douglas High School assembled a walk out for all the students who are against gun violence on the one month anniversary of their school shooting, which killed 17 innocent human beings. 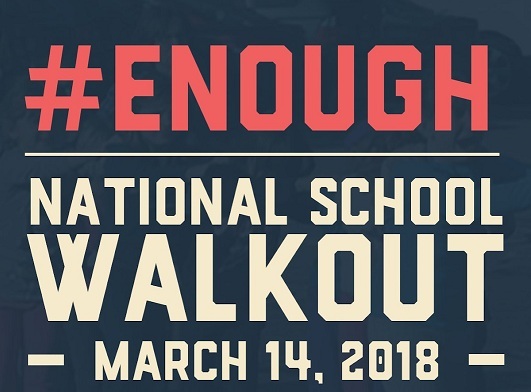 The walk out was planned for 10 AM, students were to walk out of school without any punishment to stand up for their rights. The student leaders in Florida who brought awareness and created this movement have shown bravery and impact throughout this awful tragedy. However, in my personal opinion do they really know the impact of gun violence by just one experience. WHAT ABOUT US, THE STUDENTS FROM CHICAGO? They feared for their lives for one day, we fear for our lives every single day we walk out the comfort of our homes just to get to school. Every time we take one step we fear we may get shot, robbed, or even raped. We wake up everyday to go to school and try not to get shot. We walk in groups so it makes it less likely we will get robbed. Our school tells us to go straight home for our safety. Yet we don’t get a voice or we aren’t being heard because our school did not suffer such a tremendous tragedy. I respect what they are doing because they are right that gun violence needs to stop. But why not ask the kids who go through this everyday what their opinion is?. Why don’t they listen to us? Adults speak for us because they believe we are too immature or too young to know what we are saying. The student leaders in Florida speak for us because they went through one event. These student leaders went through a bad experience once and think they’re the only ones that went through such a awful day, but little do they know what they go through we go through everyday. I repeatedly say what about us because it seems to me that we aren’t being heard or recognized. We haven’t been shown empathy for what we go through everyday. Like Maddy Small, junior at York Community High School in Elmhurst, said in interview with the Chicago Tribune- we don’t want thoughts & prayers, we want ACTIONS AND CHANGE. The student leaders in Chicago, we need to speak up. We need to follow the example they are setting for us. We need to start advocating against the violence going on in Chicago, let’s go out and support the rally on March 24th. Our voices need to be louder because we go through this EVERY DAY!